Right now I am knee deep in learning about the Teachscape classroom observation system. By the end of my training to evaluate teaching staff under the Wisconsin Educator Effectiveness System, I will have watched over 100 videos of classroom instruction. Without actually having applied this observational tool in the classroom, I have found lots of positive aspects about it. There is a common understanding of what good instruction looks like. All instructional leaders will be in their school’s classrooms on a more regular basis. Authentic pieces of evidence of progress toward professional learning outcomes will be expected in this process. Charlotte Danielson’s framework for instruction is well represented within Teachscape, such as I can see so far. After reflecting on this training, along with my fourteen years as a teacher and administrator, I believe empathy is the most critical skill for educators to be highly effective in teaching children. Some educators refer to the skill of “perspective-taking”. Ellen Gillinsky, author of Minds in the Making, defines perspective-taking as “figuring out what others think and feel” (http://mindinthemaking.org/article/category/perspective_taking/). Peter Johnston, in his book Opening Minds (Stenhouse, 2012), uses the term “social imagination” to describe how a person can “mind read” by closely observing a learner’s language and actions (76). I like both explanations, and the core of each of these concepts is empathy. I define empathy from an educator’s point of view as the ability to inhabit a student’s situation, thoughts, and feelings. This skill, to mentally place ourselves within a student’s circumstance, can bear many opportunities for responsive instruction. 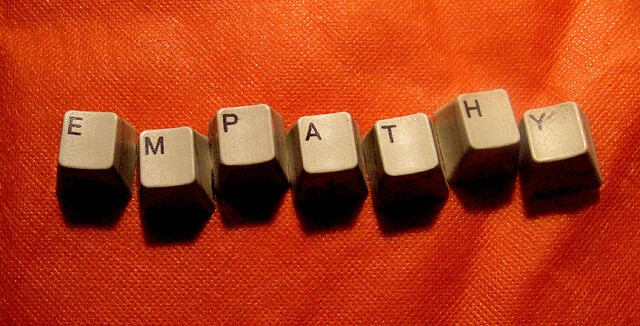 Empathy gives a teacher pause when a student is not working as they should (“Is he sick? Hungry? Upset?”). Empathy allows us to prepare our lessons based not on what we want to cover, but on what each individual needs. Empathy clues us in to what our students’ parents are really saying and feeling, and not necessarily on what we hear and see. Empathy allows educators to teach with confidence, because they know their words and actions will have a profound impact on students’ lives. I believe empathy is the foundation for all that is possible within instruction. Really appreciate this perspective, Matt. My organization is doing work with schools to build educators’ capacity to implement culturally relevant pedagogy (CRP). I think your definition of empathy is arguably at the core of CRP, although the focus in CRP is more specific to understanding the cultures of everyone in a classroom, including that of the teacher. I would say that as we become more self aware, we grow in empathy, because we take time to reflect on what makes us unique, what motivates us, what discourages us, and so on. It’s not too big a leap to then apply that same reflection process as part of our instructional practice. Thank you Amy for the comment. Matt, this is such an important post. I even call this moment [“to mentally place ourselves within a student’s circumstance”], the pause, which is a patience children don’t always receive. I pause to let situations sort themselves out, or to notice the mood of the student, and always to allow them the dignity of self-control in each situation. Empathy is needed to build relationships with students, and thereby increase their motivation in your classroom. Empathy brings humanity back into the classroom and helps model and build the learning community. Thanks for sharing. I like your definition and description, Sheri. Thanks for the comment.